There are just a ton of games to talk about this episode. Project X Zone, the Pokemon Bank, Luigi's Mansion: Dark Moon, Mario Golf: World Tour, Mario Kart 8, Yoshi's New Island, and Professor Layton and the Azran Legacy for starters... and that's me only listing every other one! Between what we've been playing and what was in February 2014's Nintendo Direct, there's just a ton to discuss... so much so that we don't even have a break for a song. Of course still we have to give a big thanks to Zero for the theme music. Best episode of the podcast since episode 5? I would have to say YES. 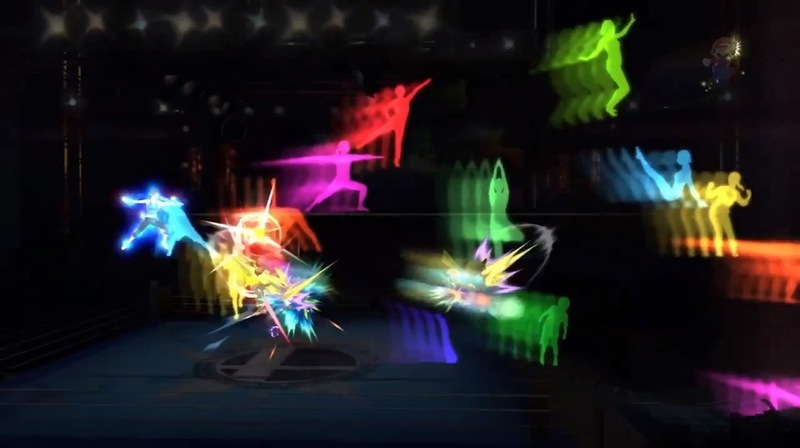 Also, I realized after we recorded, 'Final Smash' attacks were totally confirmed for the new Smash Bros. Can't believe I forgot about that. Yeah not only that, but I think this week or last, Sakurai made more reference to Final Smashes. It hasn't been BLATANT by any means so it was easy to forget. Somehow only just listened to this one right before 61, and as always, excellent episode. Grant was a wonderful third chair as well. I really need to play X Zone. It's just the right amount of wrong. yeah, I totally stole that from a commercial. Listened to ep. 59 several times while at work. I usually listen to any podcast multiple times, cause at any given time I have to take my earbuds out to talk to a co-worker, ect, then I forget to put them back in immediately. Its too big an ordeal to take my 3ds out of my pocket and pause the podcast. Anyways, another great podcast. It wasn't until the end of the podcast I realized GDG was the guest. Must have missed the beginning and other times early on when his name was mentioned. Shame on you GDG for not playing Luigi's Mansion 2 yet. Although, I'm only about halfway thru, so I don't have room to talk. I really like hearing about all the different games people are playing and their opinions on them. Only thing that puzzled me in ep. 59 was that Dr. Fink had trouble with the first boss(spider) & that kindof turned him off to the game. I never noticed that happening to me during the game, at least up to the point where I left off. I didn't stop playing LM2 cause I didn't like it, just with every game I start to play something ends up taking my attn. away from that game and before ya know it, months, if not a year has passed. I still love playing videogames, and I keep up with all the gaming news on a daily basis. I just have a hard time staying focused on any given game. I think being older has something to do with it, plus personal problems(nothing major though) are a contributing factor. I can't blame spending time with the kids anymore cause both are young adults. Rambled on enough, looking forward to Mario Kart 8 and some online gaming, plus my free download of Pikmin 3! Perhaps it was a singular issue I had personally then but I remember being very frustrated at the end of that spider boss. By the end of the recording I think I wanted people to take away that the bosses are very different than the main game IMO and for me it almost turned me off. Of course I loved the second mansion's boss and was very glad that I made it through the game. I beat it shortly after that recording. But how far are you in the game? Completed. By beat it, I meant beat the game. Around the recording I was in Mansion 5 I think. I either just beat the fourth boss or I was nearing the fifth.